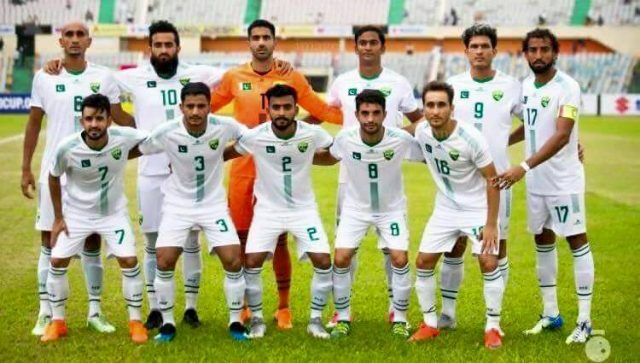 The football fans in Pakistan are on feet as the green shirts will lock horns with India in the semi-final of the SAFF Cup on Thursday in Bangladesh. It doesn’t matter whether its cricket or any other sports but when it comes to India Vs Pakistan has always created hype among the people of both the countries. The green shirts showed some brilliant performance at group stage gaining six points to reach the semi-final of the event. They beat Nepal 2-1 and Bhutan 3-0 but lost to Bangladesh 1-0 to compromise on as many points. On the other hand, India also topped their pool clinching both of their matches to set clash with Pakistan in a much-awaited contest of the event. If we look into the past record then India have an upper hand over Pakistan having won 10 matches out of 23. Pakistan only managed to get off the mark in three outings while the remaining ten matches held draw. They both played each other in an official match in the SAFF Championship 2013 which Pakistan unluckily lost 1-0 due to scoring an own-goal. Two years later, Pakistan toured India to play two friendly matches which held draw 1-1. It is pertinent to mention here that Pakistan is currently placed on 201 in FIFA rankings, while India is settling on 96th spot. Seven-times SAFF champion, India eyes onto add one more to their title tally while Pakistan will try their luck to reach the title decider of the tournament.